Dark red brick in color, this Merlot exudes beautiful aromas of ripe black currants, prunes, licorice, toasted oak and minerality. The wine has great concentration and an elegant mouth-feel. 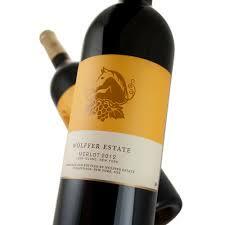 Lush ripe fruit is backed by rich, subtle, round tannins with a long, lingering finish. Great play between the fruit, delicate acidity and soft tannins create an extremely food-friendly wine. An overall sense of balanced intensity makes this an extremely pleasurable Merlot that will age gracefully for many years to come.